Contemporary mushroom-shaped knob by Richelieu. Its simple discreet shape and smooth surface will enhance your furniture and dicor. Classic mushroom-shaped knob by Richelieu. Its simple discreet shape and smooth surface will enhance your furniture and dicor. Classic round knob by Richelieu. Nice details give it a lot of style. A bold and elegant addition to your furniture. Richelieu collection is an innovator in craftsmanship design and style. Our trendy collection of decorative hardware is a reflection of our continuing interest in bringing you the latest selection of high-quality and innovative products. These unique products will bring together functionality, aesthetics, ergonomics, in all kinds of styles and finishes. 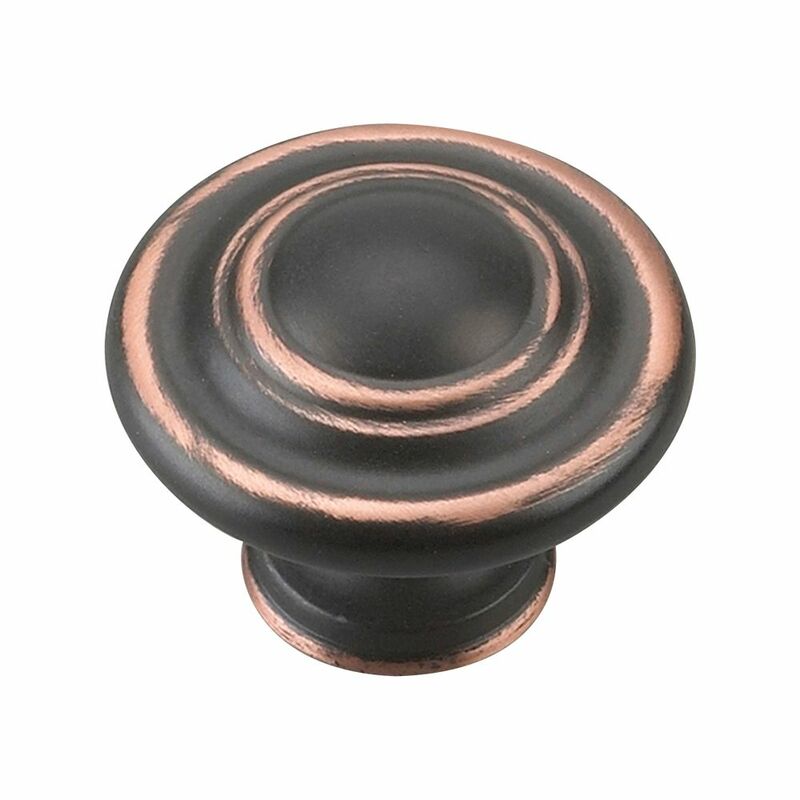 Traditional Metal Knob 1 23/32 in (44 mm) Dia - Brushed Oil-Rubbed Bronze - Grenoble Collection This Richelieu round knob will add flair and style to your kitchen or bathroom dicor. Its attractive circular design makes this knob a classic.